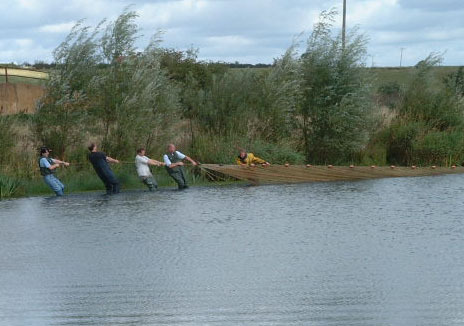 Permission was obtained to net the big lake at Summer Leys Nature Reserve on the above date. 5 members gave up their time, coupled with myself and two contractors a team of eight had to pull a 200 metre Seine Net across the enormous gravel pit. The work was extremely hard and I am extremely grateful for the full day of effort that everyone contributed. Perhaps the next netting some carp anglers could try and make an effort to help as it was their benefit that the big pit is being developed into a carp fishery. 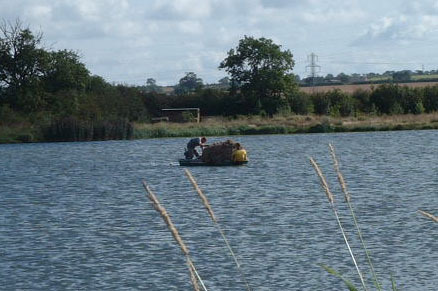 The two contractors float the net off across the lake on a punt to reach the other side. Derek, Kevin, Harold, Alan and Dominic the contractor pull one side on the 200 metre net. Here are the biggest fish. 198lb of Carp all in all. 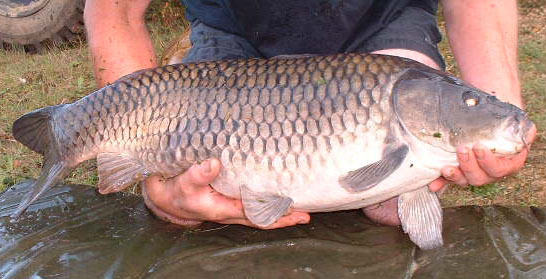 16.8 Common- or is it a fully scaled? 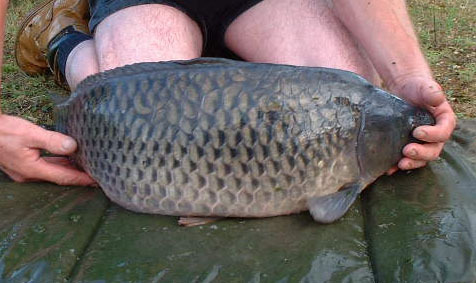 Another 16.8 Common – same scale pattern, peas in a pod, different fish honest.